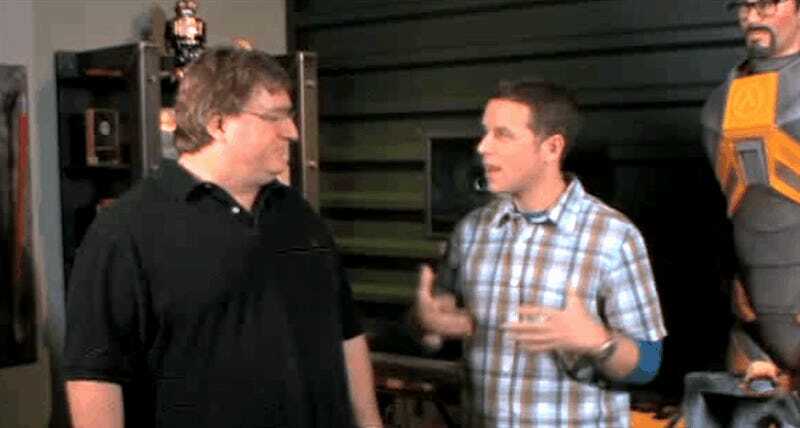 Whether it’s called Half-Life: Episode 3 or just Half-Life 3, here’s a video put together by CrowbCat which collects interviews dating back as far as 2006 in which Valve boss Gabe Newell talks about a game that’s never actually coming out. Gah. I need a drink after that.